RS-2m 553 at Springfield, Missouri on November 15, 1970 (Charly’s Slides). 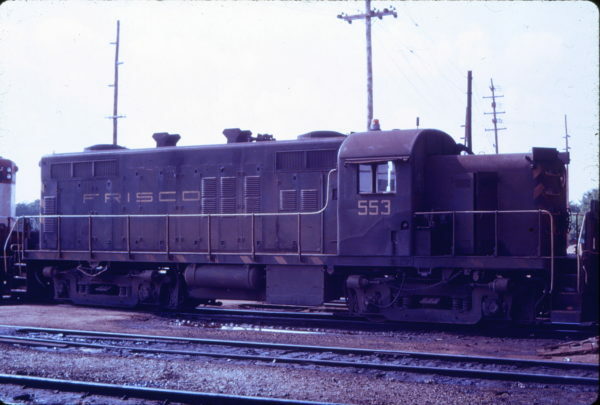 RS-2m 553 at Springfield, Missouri in June 1958 (Don Swanson). 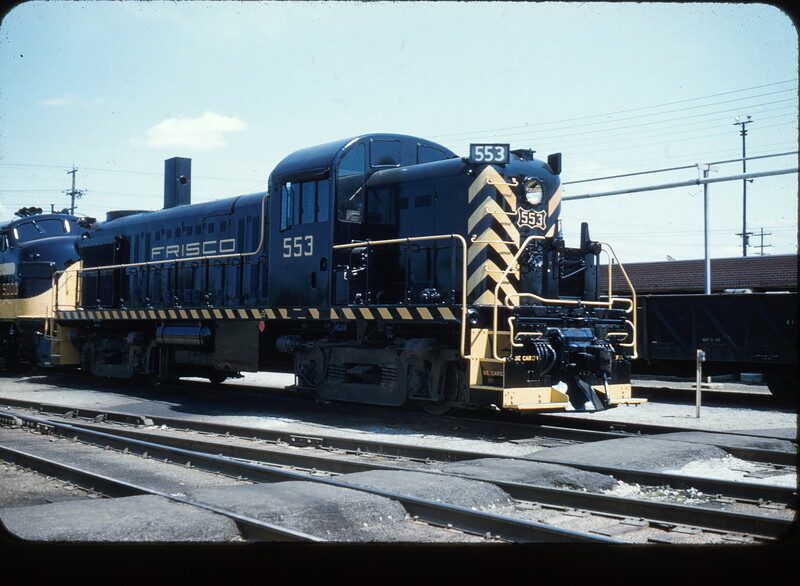 RS2m 553 at Springfield, Missouri (date unknown). This was shot at the West or Kansas Avenue Yard. The locomotives are sitting on the diesel pocket track east of the Springfield Diesel Shop. The pocket was used for longer term storage of locomotives to be repaired in the shop. Behind the locomotives is the lead to the West Shops area/Clinton Subdivision (known as the High Line). The track in the foreground is the lead to the service tracks area and further west the diesel shop. Sitting to the west of the subject locomotive is GP7L 527. It still retains its fully striped paint. 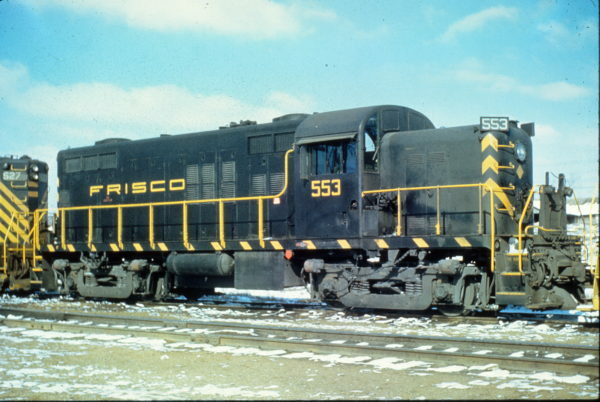 To the east of the subject locomotive is Frisco (sub-lettered AT&N) RS1 109. The view is looking north. RS2m 553 at Springfield, Missouri (date unknown) (Mac Owen – Blackhawk Films). 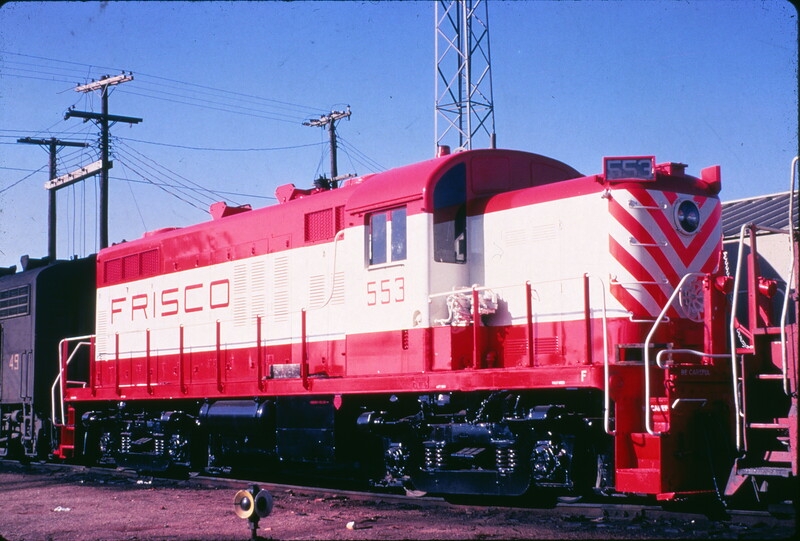 This unit was rebuilt by EMD with a 1,500 horsepower (1,100 kW) 567C engine.